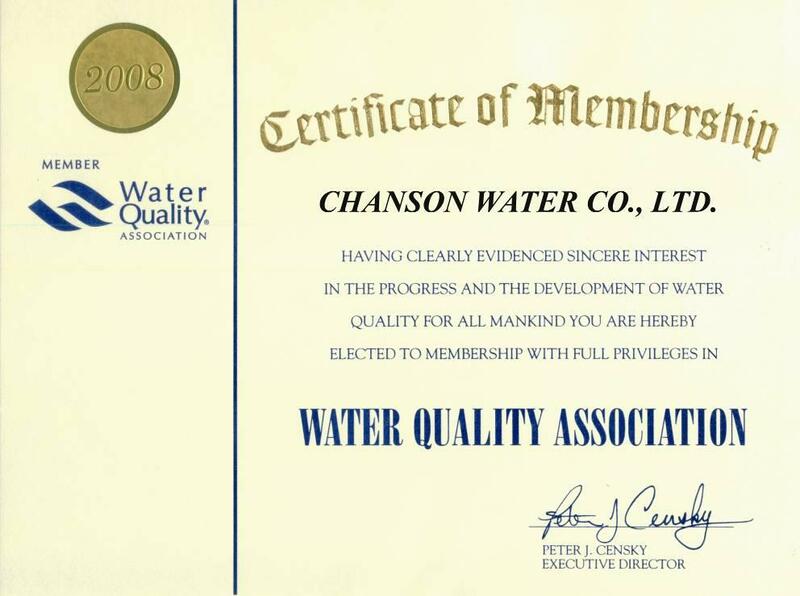 Chanson offers the longest lasting and most compact ionizers in the world – up to 60% smaller than the competition! 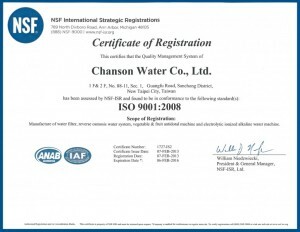 No other filter on the market can compete with our C3 Prefilter which lasts approximately one year has been reformulated to remove 99% of chloramines. Our Ultra Filter was the worlds first non-clogging .01 micron filter and lasts longer at full flow rate than any other anti-bacterial filter. Our Water Dove Softener features all natural NSF resin and green technology: no salt or chemicals, no waste water and no electricity needed! We were the first to offer an anti-scale hydro-magnetic conditioner module and ours is guaranteed for life! We offer six bonus gifts with the purchase of an ionizer that you won’t find anywhere else! 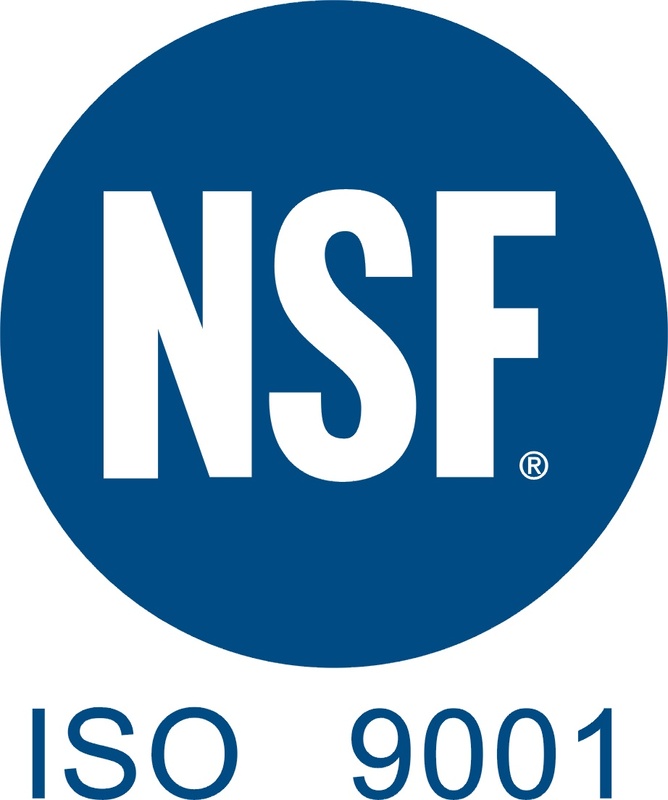 We conform to CE, CSA, ISO, NSF, WQA, RoHS, Special Patents and Quality Report to meet worldwide market regulations. We have 14 warehouses, three factories and two R &D (research and development) centers which contain laboratories with ultra-modern testing equipment. 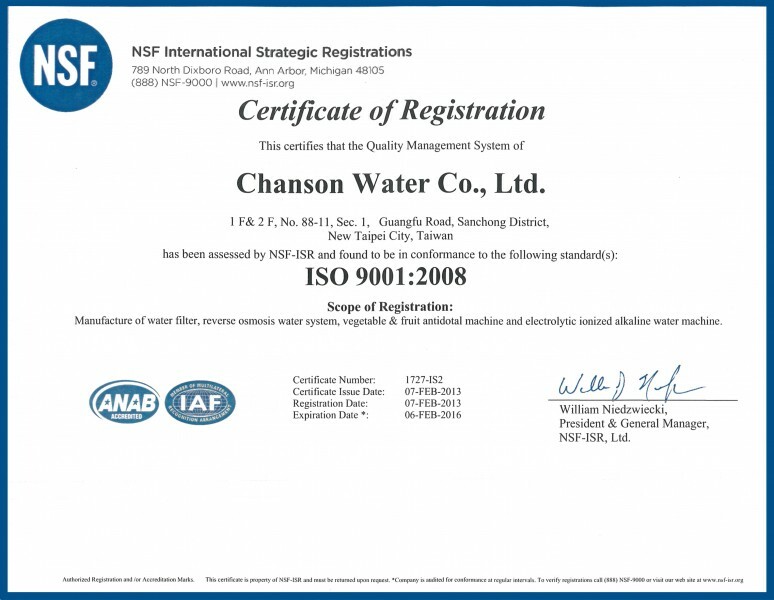 Chanson uses only food grade materials in their manufacturing (over 70% of their components are made in-house) and imports the titanium water ionizer plates and the ionizer filter materials from Japan. We were the first in the industry to develop 262K color LCD ionizer screens, in-mold decoration panel design and electronic faucets. 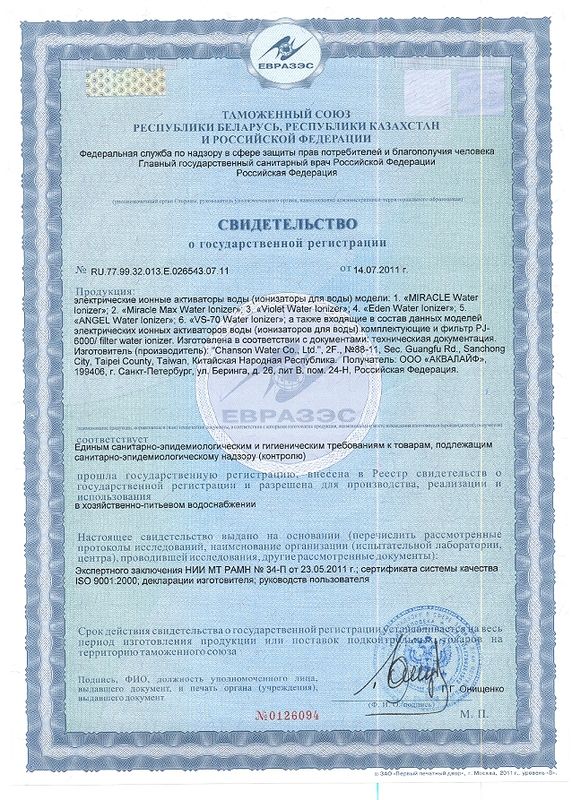 We have multiple awards and certificates including the coveted Good Design award. 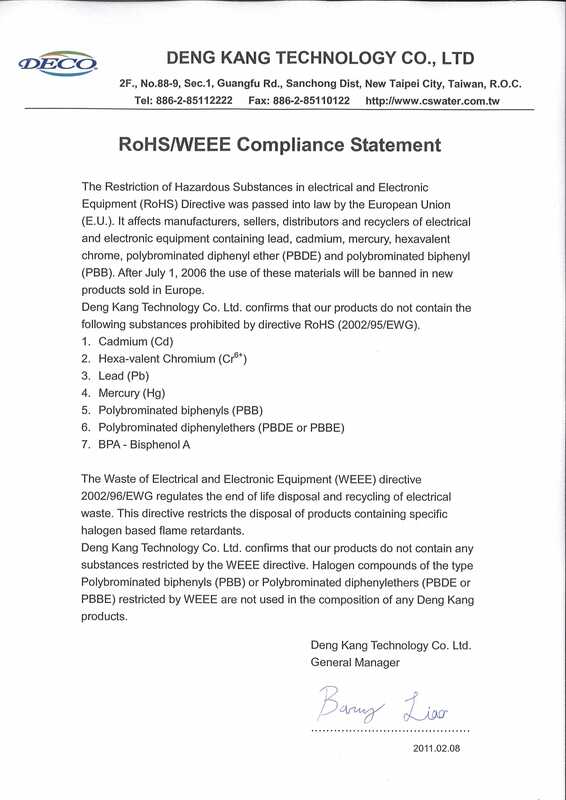 We are a company of ethics and integrity and will never sacrifice quality for profits. 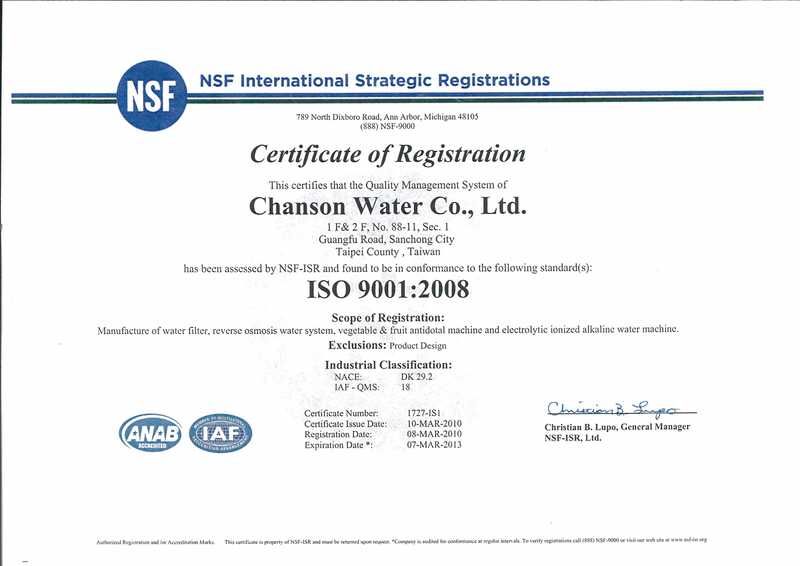 ISO 9001 certificate shown, is for our manufacturing plant in Taiwan.